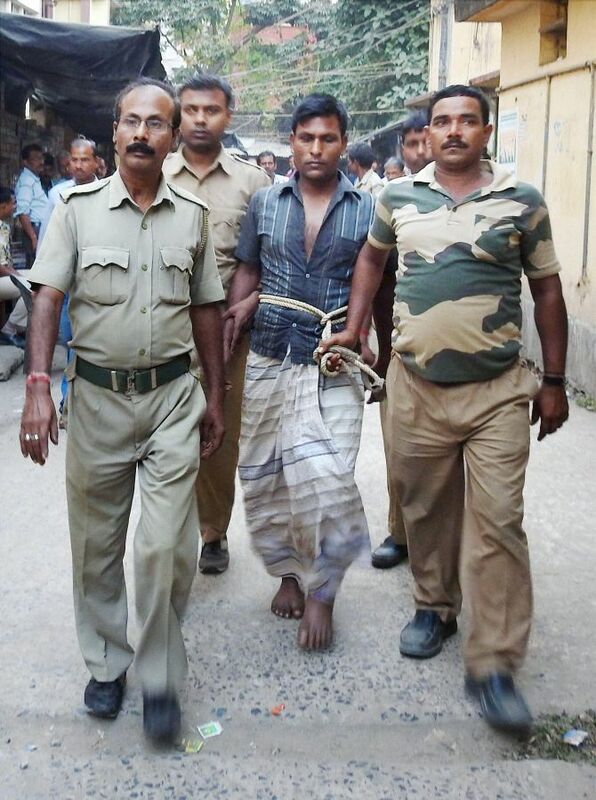 The Special Task Force of Kolkata Police has seized mobile phone SIM card which, it believes, was used by the three arrested suspected ISI agents to pass on information to the ISI of Pakistan. "They passed on information electronically and also through other means which could be manual. There can be others involved who acted as messengers," a senior STF officer said. As Irshad Ansari's educational qualification and proficiency in understanding technical things were not up to the mark, his son Asfaq Ansari helped him in this, the officer said. In fact, Asfaq's passport details showed that he had been to Bangladesh twice in the recent past, he said. "But the exact purpose of his visit is still unknown... We are looking into it." According to another STF officer dealing with the case, Asfaq met Iqbal, his father's elder brother in Dhaka during his visits there. "Whether the meeting was to pass on the information or to get some trainings was still not known," he said. Irshad's family, hailing from Bihar, consists of five brothers and sisters, the STF officer said. 1971. In 1976 Irshad's elder brother Iqbal went to Pakistan, got married and settled there followed by his another brother Irfan who also started his own business there," he said. Irshad went to Pakistan in 1985 to visit them and stayed there for about three months, the Kolkata Police STF officer said. "After that Irshad went to Pakistan in 2005 and that was when he was picked up by Pakistani agency to work for them as informer," he said. Irshad, a contract labourer with Garden Reach Shipbuilders & Engineers Limited along with his son Asfaq and brother-in-law Mohammed Jahangir were arrested on Sunday for their alleged links to the ISI. Several documents revealing their links to the ISI, Fake Indian Currency Notes with a face value totalling Rs five lakh were seized from the three besides a hand-drawn map of the GRSE and the Netaji Subhas Dock in the city. The trio have been booked under the Indian Penal Code sections 120B (criminal conspiracy), 121 (waging or attempting to wage war or abetting waging of war against the Government of India), 121A (conspiracy to commit offences punishable by section 121), 489B (using as genuine forged or counterfeit currency notes or bank notes) and 489C (possession of forged or counterfeit currency-notes or bank-note. Meanwhile, the arrested three were on Monday produced in a court which remanded them to 14 days' police custody till December 14. Authorities at the GRSE has beefed up security at the PSU facility after the arrest of Irshad, who was working there as a contract labourer.